The “Post 9/11 G.I. Bill” is one of the student aid programs for military service members. This program provides significant new educational benefits for service members on active duty and after active duty. Military service members who have served an aggregate of at least 90 days on active duty in the Armed Forces are eligible. The benefit amounts vary depending on the amount of service. Those who serve for 36 months are eligible for 100% of benefits. Service must have occurred on or after September 11, 2001. Service members who are serving on active duty are eligible as well as those who completed their service or were discharged or released. Only certain types of discharges and releases qualify, including honorable discharges or discharges or releases for certain medical conditions or hardships. Those still on active duty may be better served using the existing benefits. You should check with the Department of Veterans Affairs for more information. The V.A. also has a G.I. Bill feedback system if you have questions or concerns and a comparison tool to help servicemembers learn about education programs and compare estimated benefits by school. In order to qualify, students must be pursuing an approved program of education as defined in the law. Benefit amounts are equal to the charges for the program of education, except that the amount may not exceed the maximum amount charged for in-state undergraduate students in the state where the student is enrolled. Students may receive money not only for tuition, but in many cases for housing, books and supplies, and possibly even a relocation payment. In certain situations, this benefit may be transferred to the service member’s spouse and one or more children. The time period to use these benefits expires at the end of the 15 year period beginning on the date of the last discharge or release from active duty. The 15-year time limitation for using Post-9/11 GI Bill benefits was eliminated for Veterans who left active duty on or after January 1, 2013, and qualifying dependents. The Higher Education Act prohibits interest accrual while eligible military service members are serving on active duty during a war, military mobilization, or national emergency. This benefit applies only to Direct loan borrowers and only for loans first disbursed on or after October 1, 2008. Borrowers with FFEL loans may consolidate into the Direct Loan program to take advantage of this benefit. This deferment may be granted based on a request from the borrower or the borrower’s representative. Borrowers or their representatives must submit a deferment form signed by an authorized official. Alternatively, the borrower may submit a copy of military orders or a statement from a commanding or personnel officer proving that the borrower is serving on active duty during a war, military mobilization, or national emergency. There is no time limit on the military deferment. (The previous three year time limit was eliminated in 2007). The eligibility period ends 180 days after the borrower is demobilized from active duty service. Some borrowers called to active duty will not be eligible for military deferments. To help address this gap, there is a mandatory forbearance available to National Guard members who qualify for the post-active duty deferment (see below) , but do not qualify for a military or other deferment. This should be called “Post-Active Duty Deferment” because it is for borrowers who are enrolled in school when they are called to active duty and plan to re-enroll after they have completed their service. This deferment is available in all three loan programs, FFEL, Direct and Perkins. Eligible borrowers include members of the National Guard and reserve or retired members of the Armed Forces called to active duty at the time, or within six months prior to the time, that they were enrolled in school. These borrowers may receive a deferment for up to 13 months following completion of active duty military service and any applicable grace period. The period expires at the earlier of a borrower’s re-enrollment in school or the end of the 13 month period. Similar to the military service deferment, the borrower must be on active duty to qualify for this deferment. But unlike the military service deferment, activation during a war or other military operation or national emergency is not required. The deferments page of this site contains more information about the range of deferment options for all borrowers. 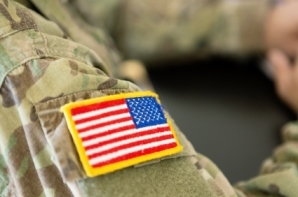 These additional options are available to members of the national guard called to active duty, reserve or retired members of the Armed Forces called to active duty, active duty members of the Armed Forces who are reassigned and certain civilians. The active duty service must be in connection with a war, military operation or national emergency. Eligible civilians are those who reside or are employed in an area that is declared a disaster area by any federal, state or local official in connection with a national emergency or who suffered direct economic hardship as a direct result of a war, other military operation or national emergency. Initial grace periods can be extended for up to three years. In-school deferments can be extended for up to three years during a borrower’s service, including the time necessary to return to school for the next enrollment period if the borrower plans to re-enroll. The three year limit on Perkins forbearances is eliminated for these borrowers. In addition, they are entitled to forbearances for up to one year without having to provide documentation or to sign a written agreement. These forbearances can be granted based on the borrower’s written or oral request or the request of a family member or other reliable source. Loan holders are required to engage in certain collection actions once a borrower is delinquent or in default. These requirements are waived for qualified service members and civilians as long as they (or a family member or reliable source) inform the loan holder of their service. Some of the job-related cancellations require borrowers to work in a certain career field for a specific length of time. This requirement is waived for affected individuals if the reason for the interruption is related to the borrower’s service. There are federal loan cancellations tied to military service available in the Perkins loan program. Military service is also considered “public service” for purposes of the Direct Loan public service cancellation. And there is a streamlined process for veterans with service-connected disabilities to apply for and receive federal disability discharges. Where can I file a GI Bill-related complaint? To successfully rehabilitate a loan, a borrower must make nine consecutive reasonable and affordable payments during a ten month period. An interruption in this consecutive period is allowed for qualifying military service members or affected civilians. These borrowers may resume their rehabilitation payments after their service is completed. Direct Loan borrowers in default may consolidate their loans if they either make three affordable monthly payments or agree to repay under the income driven repayment plans. An interruption in this consecutive period is allowed for qualifying military service members or affected civilians. These borrowers may resume their payments after their service is completed. Some states also have programs to help active duty military so that they may take leaves of absence from school without penalty. Some states also require schools to provide refunds or tuition credits to service members called to duty. In October 2012, the Consumer Financial Protection Bureau (CFPB) issued a report about problems with student loan servicing for military service members. The CFPB also has a guide for servicemembers with student loans. Veterans and service members are often targeted by unscrupulous schools. You can get more information about this issue from the Veterans Education Success web site. Creditors must reduce the interest rates to 6% on an obligation incurred by a servicemember before active duty. The reduction lasts as long as the servicemember is on active duty. These protections apply to student loans, as well as to most other types of debt, including car loans, mortgages, credit cards and business debts. Any interest reduced as a result of this law should be forgiven, not just deferred. For federal student loans, the 6% interest reduction only applies to borrowers in military service as of August 14, 2008. According to the Department of Education, borrowers may not receive a refund of interest paid in excess of the 6% limit before August 14, 2008. The Department announced in 2014 that it would apply the interest rate limitation to accounts of eligible borrowers without a request from the borrower. The Department encouraged FFEL lenders and servicers to do the same. The Department has created a form for servicemembers to use in requesting the interest rate limitation. The Act gives relief to servicemembers facing collection actions. These protections cover lawsuits against active duty service members. If you are notified of a lawsuit against you while you are on active duty with the military, or within the first ninety days after you get off active duty, you can ask the court for a “stay.” If you succeed in getting a stay, the lawsuit will not be dropped, but the case will not move ahead while the stay is in effect. Once the stay ends, you have to defend the case.To request a stay, send a letter to the court explaining how your current military duties prevent you from appearing in court. The letter must state when you will be able to appear. It must also include a statement from your commanding officer that your current military duties prevent you from appearing in court and that military leave is not authorized for you. Once the court gets this letter, it must order a stay for at least 90 days. If you need more time, you can ask for it in the letter. These protections should apply to student loan collection proceedings outside of court as well.